As the first signs of spring are showing, so are the signs for The Bluebell Ride (previously held at the Bereleigh Estate) which is again being held at The Longwood Estate, Nr Winchester on Sunday 22nd April. The Country House Company has supported this event for many years and we are always proud to see our signs across the area advertising the event. 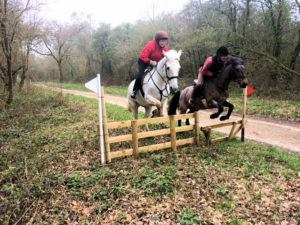 The ride is an 8 mile Cross Country Course with approximately 40 optional jumps through beautiful bluebell woods in the Longwood Estate. There will be stewards around the course located at jumping areas. The Estate is located just to the South East of Winchester, a part of Hampshire which combines pleasant woodlands with lots of tracks and areas where there are stunning views across to the Isle of Wight on clear days. Directional signs will be put up to ensure easy approaches.